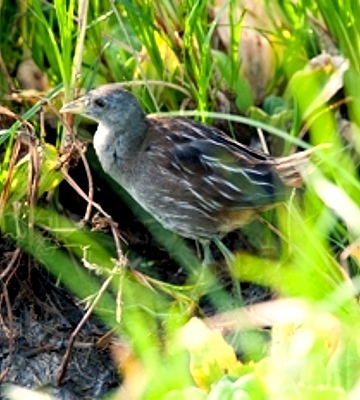 The striped crake has narrow white streaks on the back and wings, green legs and rufous vent contrasting with a white belly. 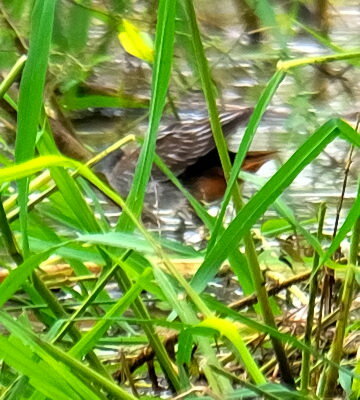 A secretive bird, it is infrequently recorded. 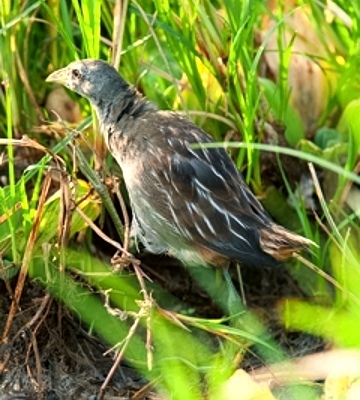 The upper bird was photographed at TPC-Moshi (8-18), courtesy of Christine Baissac. 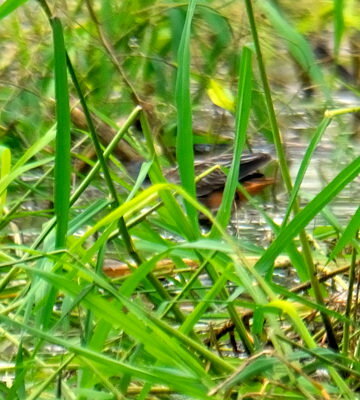 The bird in the middle 2 photos was seen in the pond by the old airstrip near Tarangire Safari Lodge (5-08) and is the first to be recorded in Tarangire NP. 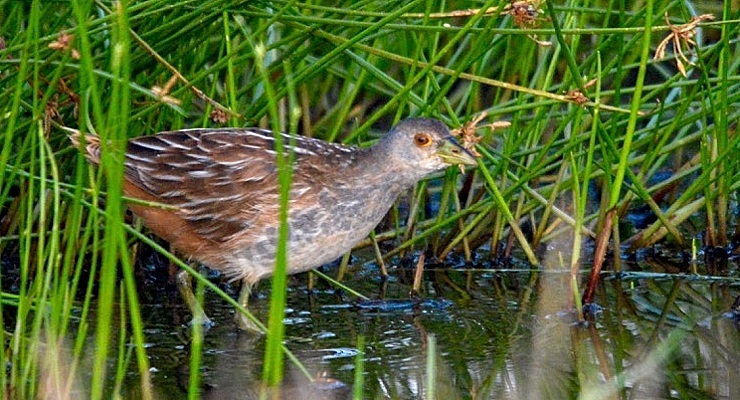 The lower bird was at Lake Manze (Selous, 6-13), courtesy of Phil Bennett.